At least 8 people were detained in two cities while they were reportedly on their way to escape Turkey’s post-coup crackdown to Greece. 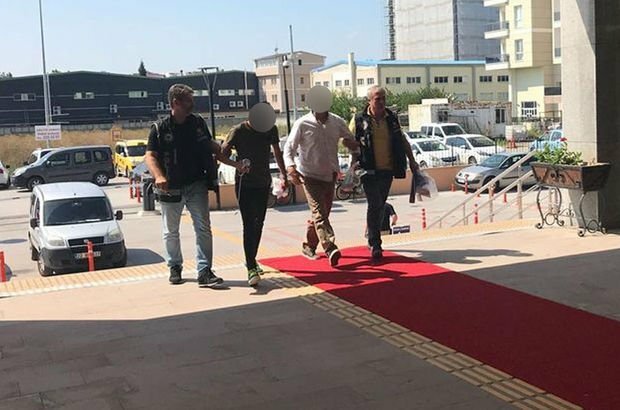 State-run Anadolu news agency said Wednesday that two military officers who were earlier dismissed from their jobs over ties to the Gulen movement were detained along with their wives following a police raid at an apartment in the western resort town of Bodrum. The pair had outstanding arrest warrants on charges of “attempting to overthrow the government,” media said. In a separate operation in Edirne province, a dismissed teacher was rounded up along with his wife and two children in a military zone next to Greek border. Thousands of people have fled Turkey due to a massive witch-hunt launched by the Justice and Development Party (AK Party) government against sympathizers of the Gülen movement in the wake of a failed coup attempt on July 15. The government accuses the movement of masterminding the coup while the latter denies involvement. More than 150,000 people have been detained and some 80,000 including academics, judges, doctors, teachers, lawyers, students, policemen and many from different backgrounds have been put in pre-trial detention since last summer. Many tried to escape Turkey via illegal ways as the government cancelled their passports like thousands of others. On Feb 13, at least three people died and five others were missing after a boat carrying a group of eight capsized in the Evros River while seeking to escape a post-coup crackdown in Turkey.